Enjoy huge savings from Dynamite Canada. 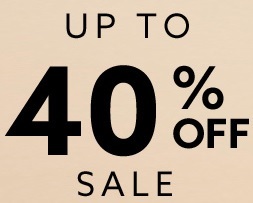 It possible to save up to 40% off sale styles. Plus, take an extra 25% off selected bottoms or enjoy BOGO offer on sale accessories (buy one, get one 50% off). Plus, get standard shipping for free on all online orders. Official source of the information is Dynamite Canada. Valid online only. Offer ends 11/04/2015. More details about the promotion on the official website.